The organ donation community is applauding Facebook’s announcement that they will allow its 900 million members to share their donor status with friends and family and link to state data bases where people can register online to officially become donors. In an interview on Good Morning America Tuesday, Facebook founder Mark Zuckerberg said the organ donation initiative was inspired by disasters such as last year’s earthquake and tsunami in Japan and the social network’s role in keeping people connected. Hearing about Mark Zuckerberg’s decision gives me great hope, for it reminds me that all of us have the potential to become more complete human beings. In the movie Social Network, Zuckerberg is introduced as a 20-year-old Harvard student who is clearly the smartest kid in the room. The movie portrays him as having a vision for networking and a relentless, sometimes ruthless drive to achieve his goal. My take away from the movie is that Zuckerberg as depicted is brilliant, visionary and amoral. 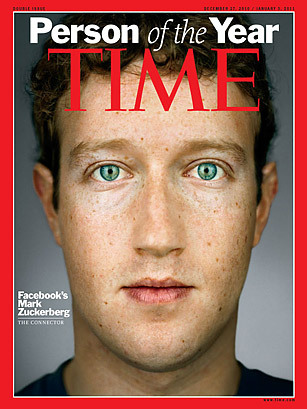 Contrast the movies depiction of Zuckerberg with the person he is evolving into. He is not only brilliant and a visionary but it seems that Mark is maturing as a person of conscience. I like to think that his generous donation a few years ago to the public schools of Newark, New Jersey and his most recent decision for Facebook to advocate for organ donation, marks the evolution of a person from a singular focus to a broadening sense of compassionate service. I like to think that this evolution of character goes on in each of us. That we are all in the process of becoming more fully human as we each use our gifts and talents for the common good.